Isn’t being accused of poor taste a rite of passage compliment? I’ve been devouring bios of composers. Some were savaged by critics for “poor taste” while the audiences embraced the music. Both Salome and Electra are not so lengthy, so it is easy to listen without too much effort. Bartok's Bluebeard Castle is even shorter. 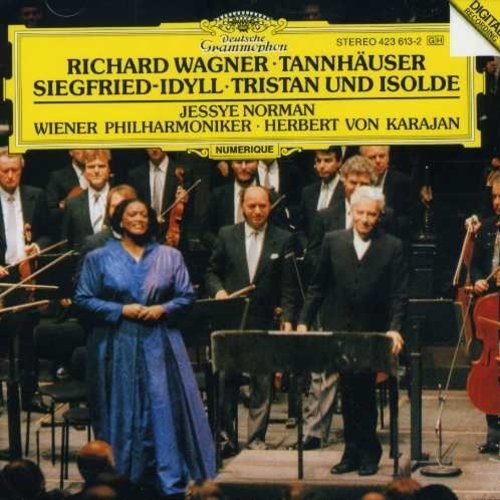 If you will like Strauss, you may try to listen a short selection of instrumental pieces from Wagner's Der Ring recorded by Solti. Or, I would suggest to check a particular selection with Maria Callas below. I am trying to recall what brought me to opera many years ago. I think I was very much impressed with opera fragments in some films as well. These are two very (!) different performances. I may be accused of lack of taste but I like both, in a different way though. 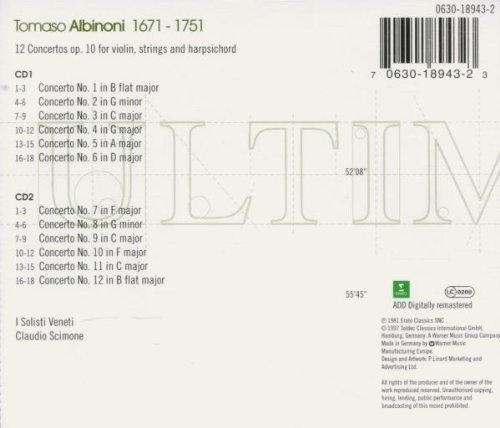 My question is - can someone recommend a well recorded Albinoni album similar in style to I Solisti Veneti 'serene' (chill out.? ) recording? The Claudio Scimone/I Solisti Veneti performances you have are 'slow' movements (adagio, andante, largo, etc.) 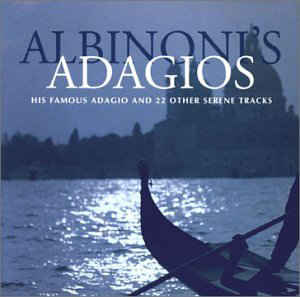 compiled from full recordings of the complete works, mostly Albinoni's Opus 10 (a set of 12 concerti). So, I'd suggest that perhaps you locate the two-CD set of the full recordings, so you can decide if it's more that you prefer Scimone's approach, or if it's the slow movements themselves that most appeal to you. Then you could go from there for further recommendations or investigations of your own, perhaps? 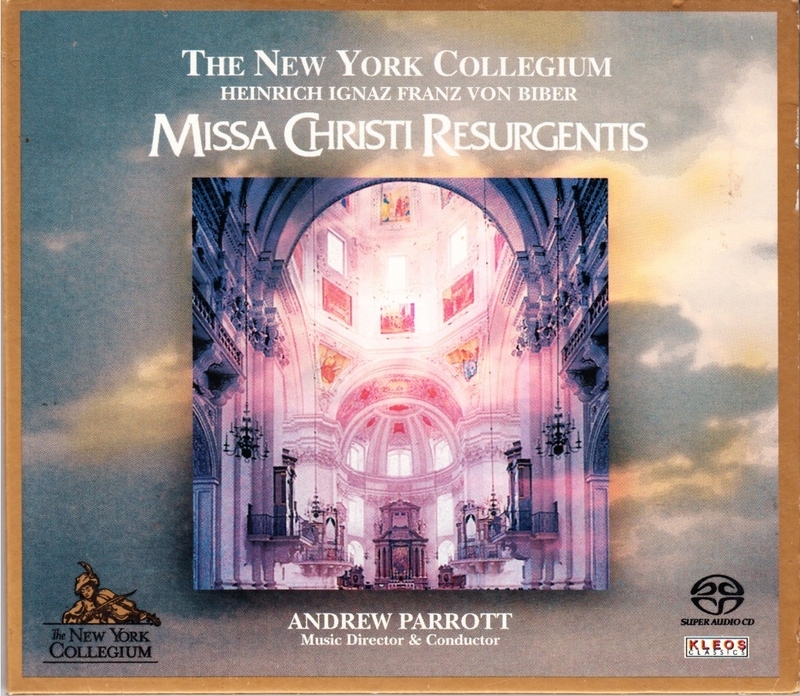 There is also a recording of Opus 9 concerti with Scimone/I Solisti Veneti if you wanted to compare those directly to Hogwood's interpretations. Not everyone enjoys the "Historically-Informed" or so-called "authentic" instruments/style, so Scimone's recordings are a happy medium for many listeners between "authentic" period music practice and the large-scale modern orchestra versions prevalent throughout most of the 20th Century. I personally prefer the "authentic" camp, but I get more enjoyment from the beauty of music than I do from my snobbery, so anything that serves beauty is worthy of pleasure haha! Don't worry about naysayers, especially in the discovery phase of your music enjoyment. You may want to look out for something that is actually by Albinoni himself. The Adagio is from the 20th century. Don’t get me wrong, it’s nice music, just not baroque. I guess it was exactly a requirement. Lounge music resembling something from the past. Listened one of the recent Françoise Hardy albums yesterday, some hints to baroque stylization there, as per my ears. 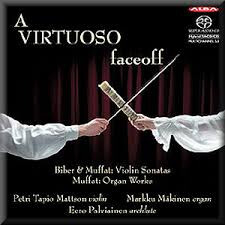 I liked both Hogwood and I Solisti Veneti interpretations but for different reasons. Yes, maybe a good idea is to simply check out some more ISV recordings. Thank you very much for your reply! When I saw your post my thought was it was quite telepathic I actually listened to Maazel's 'The Ring without Words' CD quite often recently and I liked the music a lot but I didn't have much time to explore the subject (but I have it now!). I liked Solti's 'Excerpts' even more! Thank you very much for this recommendation! Seems that Wagner may become a huge name for me! I don't think I'm ready for his full operas though. I googled the subject for a moment last night and it there is of course a wide choice of Wagner's orchestral interpretations by Solti, Maazel, Karajan, Szell, Jarvi, Klemperer, Runnicles, I.Fischer, Furtwangler and others so I count on you, guys and your suggestions again. I believe I'm ready to add a substantial number of his recordings to my music library. As usual - performance comes first but SQ matters too. Thanks in advance - every post is appreciated! I think you are pretty much covered with Ring's orchestral excerpts with Solti album... If you want dig deeper into Wagner one important thing should be considered. Great performers (and conductors) of his music belong almost exclusively to the past, or distant pass. If you want great sound quality you will miss real Wagner. Or, if you want really enthralling Wagner you should be ready for not so perfect sound quality. Anyway, here more suggestions, with excerpts and some vocal too. Last night, I started the book, "My lie with WAGNER" by Christian Thielemann. I am reading about him as a boy, who could not be further from the norm or expected in life. It is interesting to read one, looking back through the years of maturity, upon himself as a prodigy. He has acute self awareness and in spite of his gifts, humility. I want to understand what Wagner did to him. I want to, even just a bit, experience it for myself. It seems to take a bit more effort than a 3 minute, 3 chord pop song. Just a bit. Last night, I started the book, "My lie with WAGNER" by Christian Thielemann﻿. There is also very interesting documentary film about recording of Solti's Ring - "The Golden Ring". Quite a glimpse into this extraordinary effort. 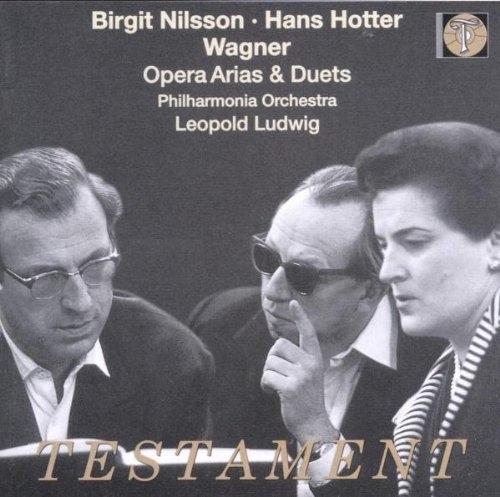 You may probably know this was the very first studio recording of Wagner's cycle in history, and, many believe, still the best. 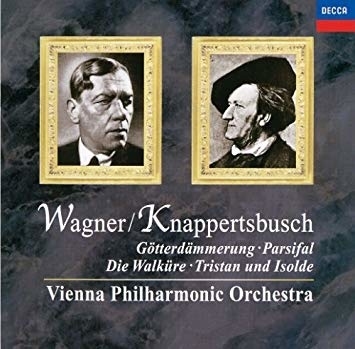 I understand that asking an opera lover about orchestral Wagner is a little bit like asking a Beatles fan about the best album with instrumental versions of their songs Unfortunately my margin of tolerance for opera singing is still in general quite low. I have no problem with choral recordings though. @AnotherSpin Thanks for your recommendations! I will get all 3 albums (and check out some more purely orchestral Wagner by myself). As for Maria Callas - just between us - I have a small selection of her recent hi res remasters, will check out the album you recommended too. She was definitely someone very special! I understand you perfectly well. Wagner is far out of conventional listening idiom even between opera lovers. I know people who love dearly Verdi or Puccini but can not tolerate Wagner. Anyway, do not try Der Ring separately by each opera or as a whole for beginning. Tristan und Isolde would fit better to begin with. Also because here we have some not too-traditional versions, such as very famous and very good from Carlos Kleiber. 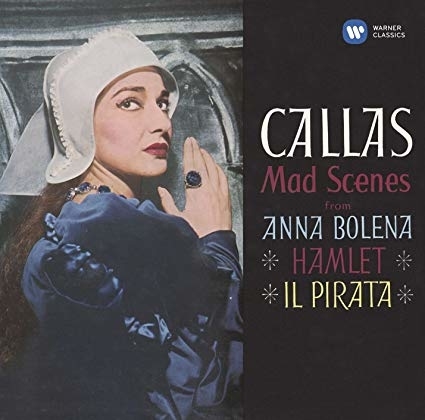 This particular album of Callas is something very special even among her vast output. 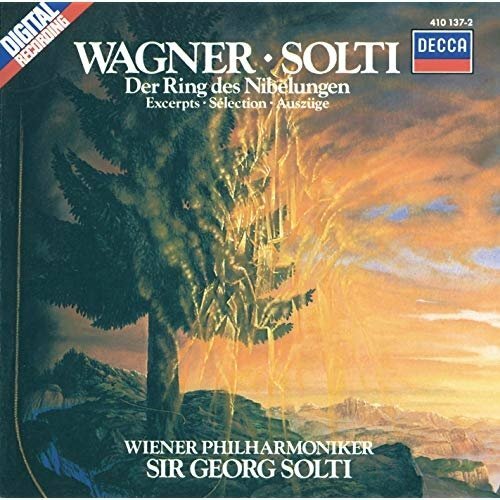 I have actually come to a different conclusion and I ordered almost a dozen of Wagner instrumental albums (I agree - Solti is very good with Wagner!). Has he composed any interesting instrumental pieces (I was disappointed with his C major symphony).? 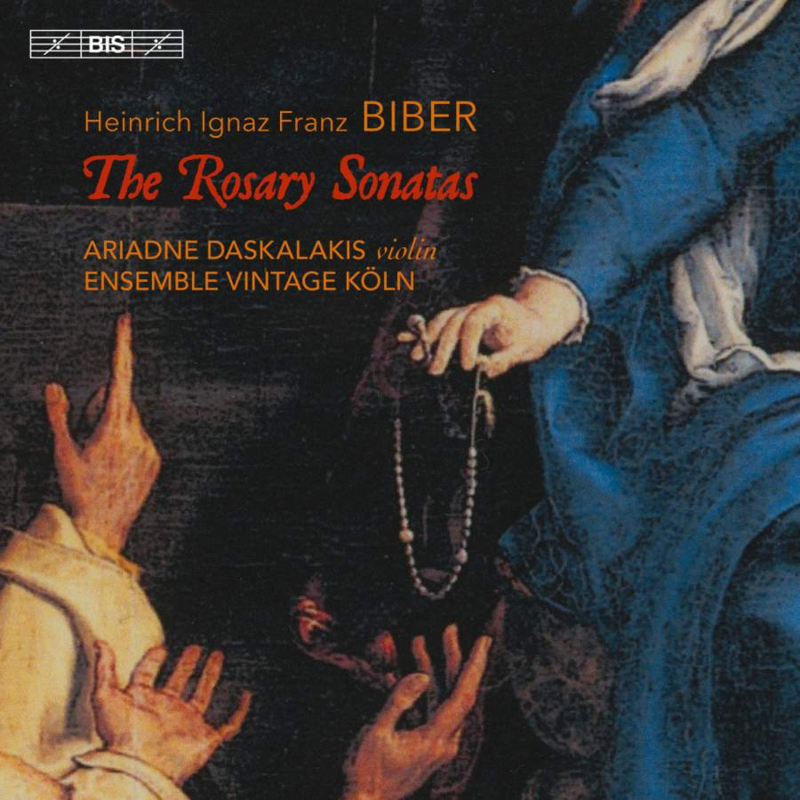 Would anyone have some other suggestions as for The Rosary Sonatas recordings.? Bad pun aside, this one is quite good, but I also like Podger for the SQ. Seems that I am Thanks, haven't checked this one. 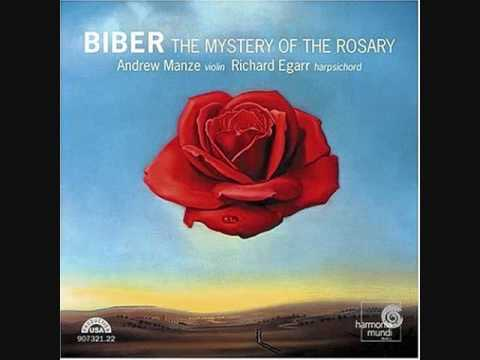 Biber – Podger is great, imho. Manze too. You would try Daniel Sepec as well. You may check Siegfied Idyll. You would try Daniel Sepec as well. One of my favorites, although becoming hard to find. ﻿﻿One of my favorites, although becoming hard to find. I will check out this one, thanks! 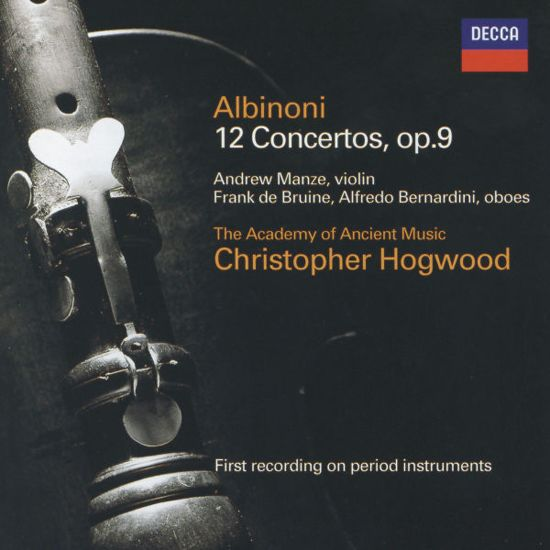 As for Holloway - I've checked it out and I agree - it's good although I liked the above mentioned three recordings more, this one for me would take the fourth place if I may be so mathematically precise. BTW I liked your Notre Dame gargoyle.. I was thinking about Holloway, whom I was listening quite a long time ago. Something was not quite right to me with his version or Rosenkranz, maybe it was not performance, but something else, sound maybe. 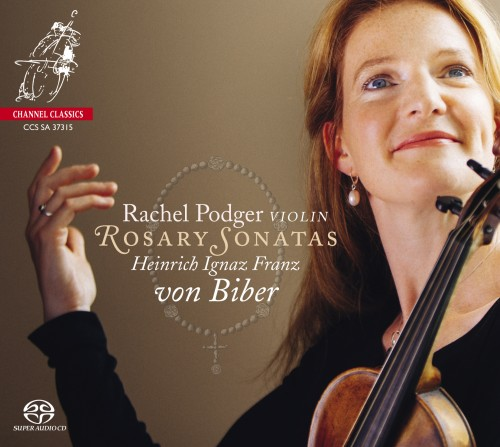 I have two recordings of Biber's Mystery Sonatas for Violin by Andrew Manze (2 CDs, Harmonia Mundi 907321/22), and by John Holloway (2 CDs, Virgin Veritas 7 59551 2, footnote 1). 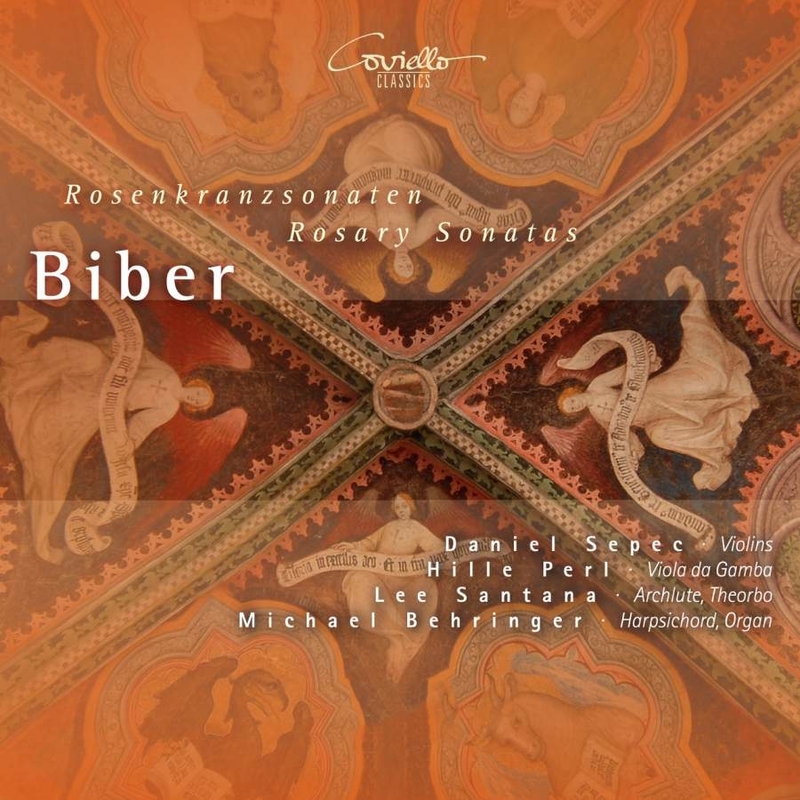 The small, accompanying basso-continuo ensembles on these recordings are similar, but their sounds are entirely different. I always hear Manze's violin right between the speakers; Holloway is farther back and less distinct, tempting me to turn up the volume. Through the Revels, it was clear that Manze was, in fact, much closer to the recording microphones than was Holloway, thus making it possible for me to easily distinguish between ensemble and ambience. Because Holloway and his ensemble were farther from the mikes, it was impossible for me dissociate their sounds from the ambiance, regardless of how loudly I played this recording. 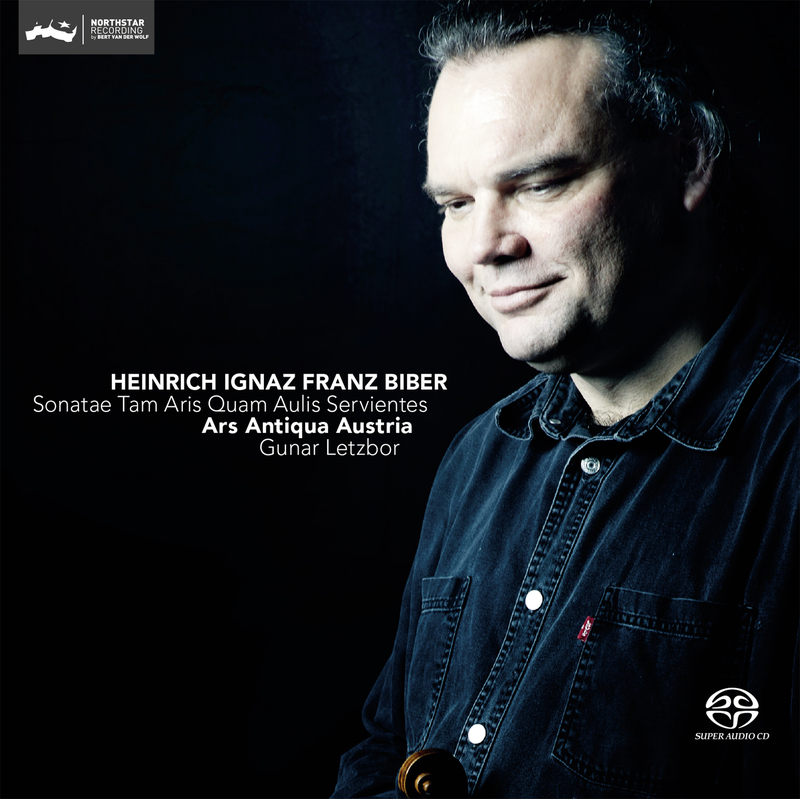 What other Biber compositions and recordings would you guys suggest to check out? My interest didn't go much beyond Rosary. If we speak about not so well known Czech composers, I would suggest to check even lesser known Ladislav Dussek. His piano concertos or sonatas are true gems.